The “invisible” but cost-intensive part of the GrazMuseum are its extensive research activities. In this respect, museums do not replace university or non-university research and teaching but do scientific work on the basis of their special expertise of objects, above all by means of a comprehensive documentation of the objects entrusted to them (cataloguing). Both permanent and special exhibitions are not about “neutral” scientificity but about the intensively discussed perspective of questions addressed to the museal object that are relevant for our society. The GrazMuseum acquired about 250 portrait sketches that stem from the “Krebsenkeller”. The painters Robert Foit, Franz Thür et al. painted a large number of personalities and regular guests in this tradition-steeped tavern in Graz. But who were these people? We do not have any information about most of the persons portrayed. 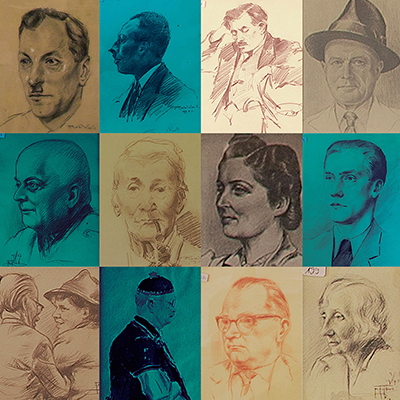 Thanks to the committed participation of our visitors, we successfully identified many individuals in the frame of the exhibition which was shown as from 29 November 2013 on the second floor of the GrazMuseum. Now the project is also being continued online: Do you know any of the faces from the Krebsenkeller? Then help us and bring your knowledge to the museum, to the portraits! 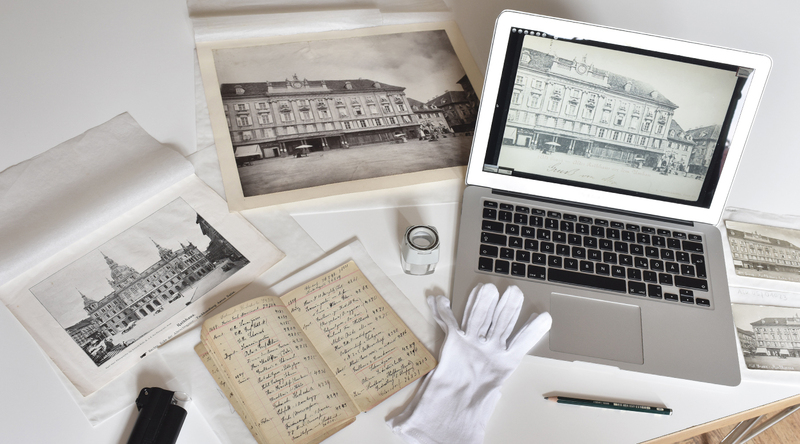 Since 2017, the GrazMuseum with its Graz postcard collection has been part of the portal Cultural and Scientific Heritage Styria. Our contribution to this is the Postcard Collection GrazMuseum Online. There you can search and filter our stock or simply browse it. We show you pictures of the individual objects in high resolution and provide additional information on the respective object. In addition, we offer the opportunity to learn more about this unique collection and postcards as a medium. 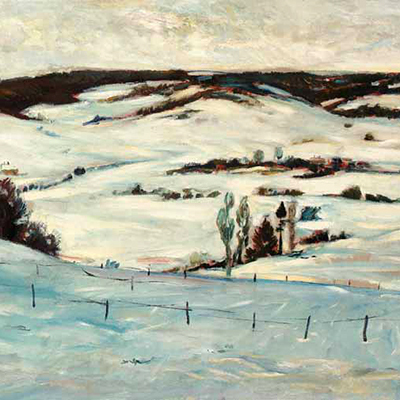 The project “Wilhelm Thöny and the Great War” is equally understood as an art historical and a cultural historical exhibition. In the frame of the exhibition based on a research project initiated by the GrazMuseum, Thöny’s “battle paintings” as well as his “illustrations of the soldiers’ life”, but also the portraits he created of both officers and “prisoners of war”, are to be iconographically deciphered with the methods of military history. Moreover, Thöny’s artistic works have to be contextualised with objects, military maps, documents, and photographs illustrating the reality of the Great War as a contrast. Annette Rainer’s text, which was first published in the catalogue Wilhelm Thöny: Im Sog der Moderne (edited by Günther Holler-Schuster and Christa Steinle, Bielefeld: Kerber Verlag 2013, 526 pp., € 58), provides a first insight into the project. The catalogue was published on the occasion of the eponymous exhibition at Neue Galerie of Universalmuseum Joanneum Graz.